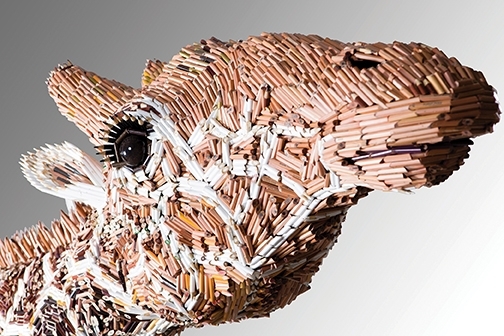 Colombia-born, Miami-based artist Federico Uribe creates creatures and playful installations from everyday objects. 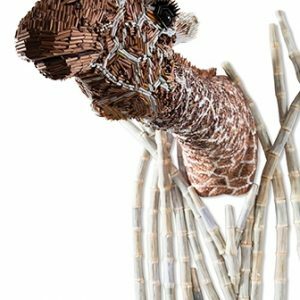 Finding beauty in books, colored pencils, wood fragments, and shoes and transforming them into animals and natural environments, Uribe creates an immersive and whimsical landscape. 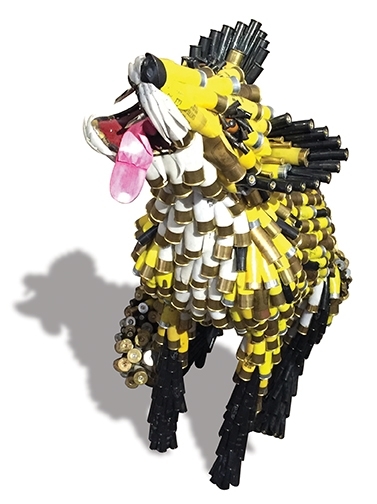 By using objects in surprising ways, he rethinks reality – seeing and incorporating objects as materials. 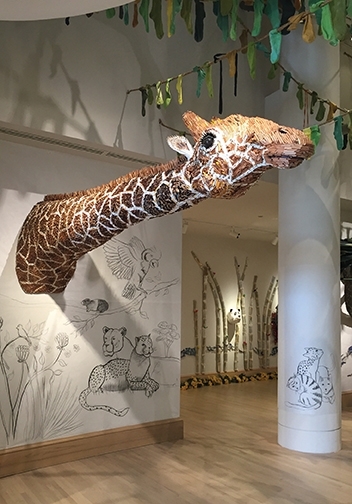 For the Woodson Art Museum, Uribe creates a large-scale, site-specific, walk-in environment – thought-provoking, yet brimming with whimsy and joy. 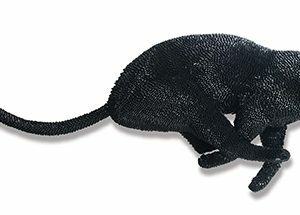 Uribe’s effusive, exuberant sculptures of animals and scenes are fanciful transformations of everyday objects reimagined and reconstructed in unexpected, often witty ways – designed to delight. 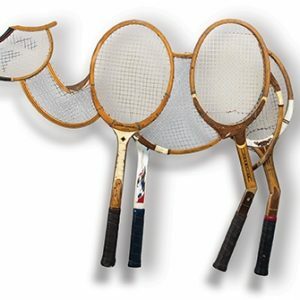 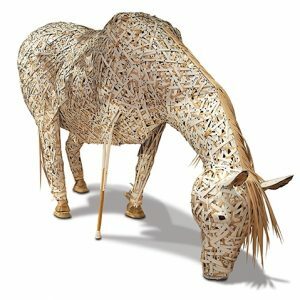 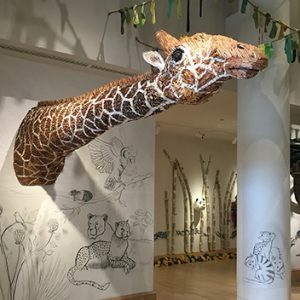 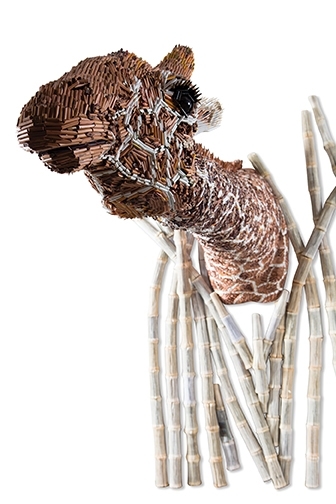 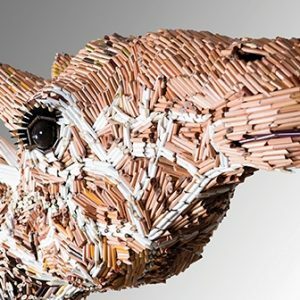 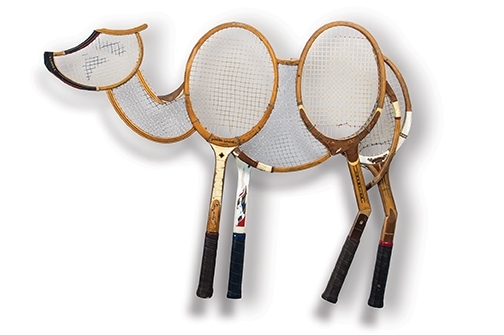 Carefully cut colored pencils become a giraffe, wooden crutches convey a crocodile, telephone cords convert into a sheep’s curly fleece, tennis racquets morph into a camel, white electric wires represent a ram’s coarse coat. 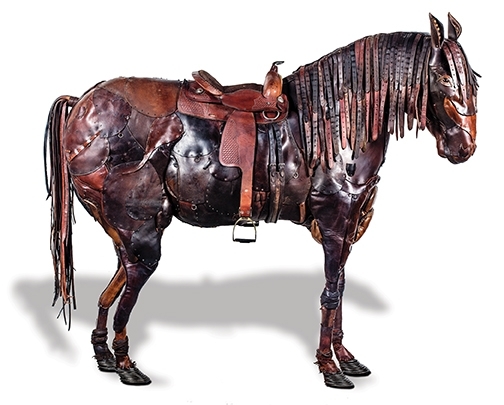 Uribe infuses some sculptures with incisive irony through the materials he chooses to use. 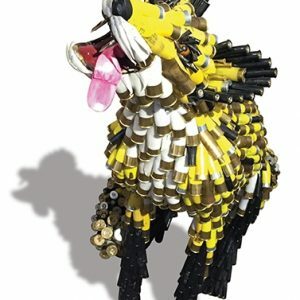 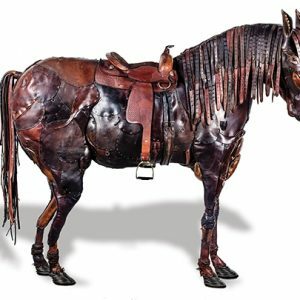 He turns books into trees, shoe leather into animals, measuring tapes into pigs, and bullet shell casings into bunnies. 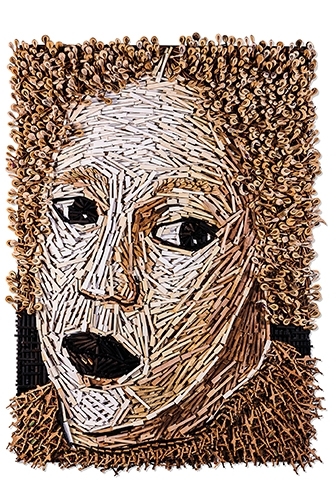 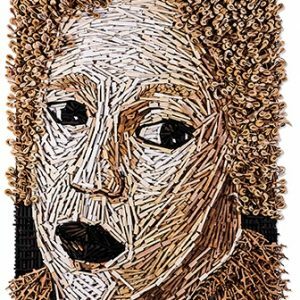 This juxtaposition of items and concepts – often in startling ways – is a theme Uribe weaves into his meticulously assembled sculptures. 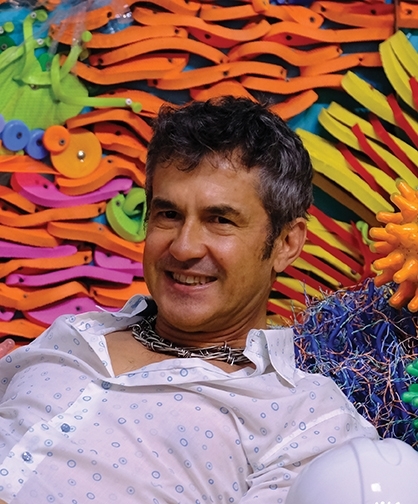 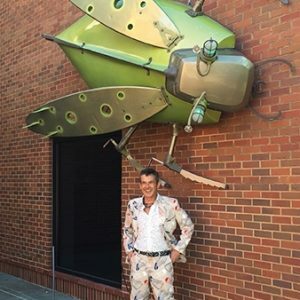 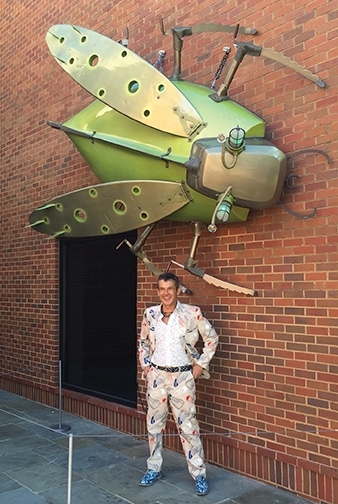 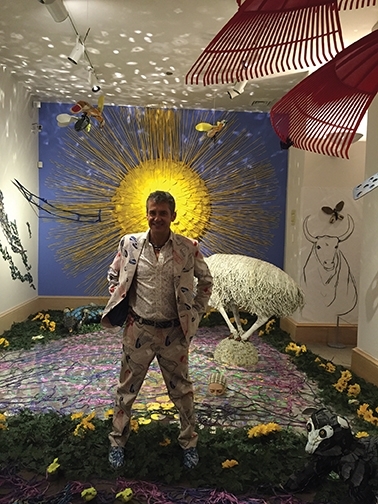 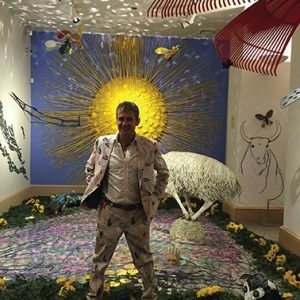 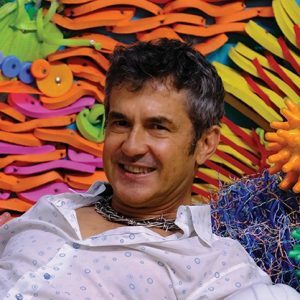 The World According to Federico Uribe, an installation by Federico Uribe, was coordinated with assistance from Adelson Galleries, Boston, and Woodson Art Museum curator Andy McGivern.